When you spend money that isn’t automatically entered into your ZipBooks account, add it easily and seamlessly. Click on the red Expense button. The Add Expense drawer will slide in from the right. Fill in the Date, Account you paid the expense from, Amount, and Category (the expense account that applies to this transaction). Click the Add Split button if you need to divide the expense among multiple categories. Put in the Name of the business or person the expense was paid to, and any Tags you want to apply. If this expense is billable, put a name in the Pass-through to Customer field. Check the Assign to 1099 box to add the expense to a contractor’s 1099. 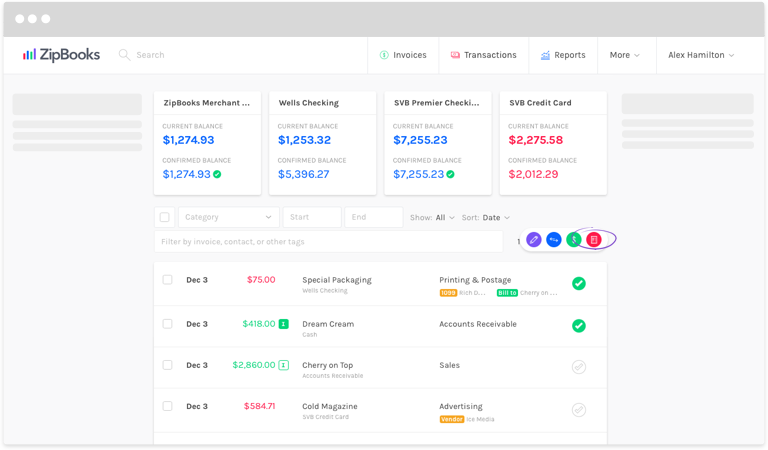 Now your expense will appear in your list of transactions! 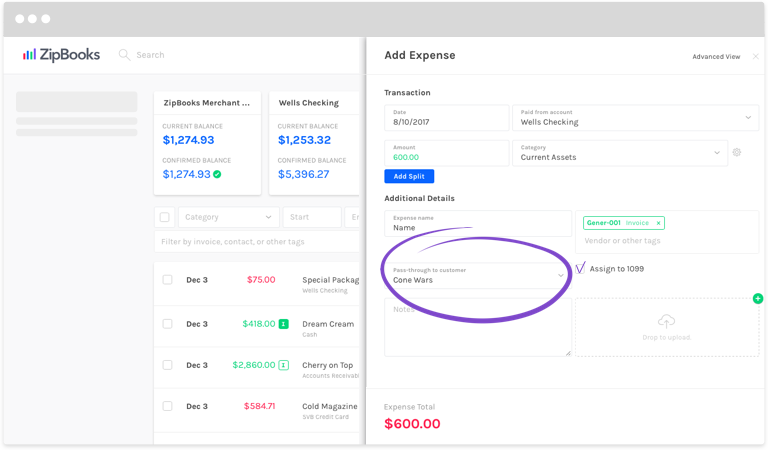 If you want to manually enter debits and credits for this expense, you can use the Advanced View link in the top right corner of the drawer screen. Suggested next article: How do I add a sales transaction or deposit to my account?